Published: Nov. 21, 2014 at 12:46 a.m. 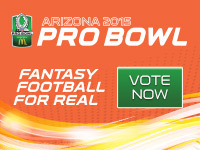 Updated: Nov. 21, 2014 at 12:52 a.m.
"This is your shot, don't blow it! Full tilt!" It's hard to imagine the pressure our Undrafted heroes are under as they arrive at the Super Regional Combine in Detroit. In the first four episodes, we watch as the six subjects of the documentary put all their focus on simply making it to Motown. Getting the call is an accomplishment in and of itself -- two Undrafted subjects weren't invited and fall out of the series' purview entirely. Four remain, but only three are in attendance at the super regionals. For linebacker Jonathan Sharpe, wide receiver Terrance Lewis and defensive tackle Nnamdi Obukwelu, everything has built toward this. In Thursday's advanced premiere of Episode 5 -- which will re-air on Tuesday at 9 p.m. ET -- our Undrafted heroes get the biggest opportunity of their lives. A group of 3,000 NFL wannabes attended the regional combines. A group of less than 250 have been invited super regional. "You're not underdogs anymore," the group is told. "You're in an elite place." That's only half true, of course. Everyone at the super regional remains an NFL underdog, but the odds just got a lot better. In 2013, 91 of the 214 participants in Detroit went on to sign an NFL contract. Will Sharpe, Lewis and Obukwelu sign pen to paper as a result of their performance in Detroit? All three prospects deliver up-and-down performances at the event. None receive requests to speak with a scout afterwards. The waiting game is back. As for our fourth subject, he has a very good reason for no-showing in Detroit. Linebacker Akeem Davis has plans with the Washington Redskins, who have invited him to mini-camp. His dream has never been more alive. "Undrafted" is a six-part series that airs each Tuesday through Dec. 9, with special advance premieres each week after "Thursday Night Football." 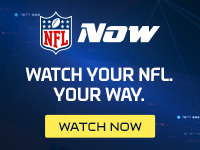 Digitally, "Undrafted" will be made available on NFL NOW through the service's premium tier, NFL NOW Plus.